I don’t know how you undo racism, but I don’t know if having a come-to-Jesus moment only after being called out for saying really racist things to a teammate is enough to cure someone. But to hear defensive end Yannick Ngakoue tell it, offensive lineman Richie Incognito may still be suffering from racism. You remember Richie Incognito, don’t you? He’s the swollen-faced white lineman who played for the Miami Dolphins in 2013 and was accused of bullying teammate Jonathan Martin with homophobic and racial slurs. Incognito was traded to the Buffalo Bills because the NFL will tolerate bullying from racists but won’t deal with players standing up—or kneeling, rather—as a protest against the killings of unarmed black men, women and children by police. I’m looking at you, Colin Kaepernick, who is still without a job. On Sunday, after the Jacksonville Jaguars defeated the Buffalo Bills 10 to 3, Ngakoue tweeted that Incognito, who wears No. 64, was still in his racial-slurs bag. According to ESPN, Ngakoue couldn’t be reached for comment, and neither could the Bills or Incognito’s agent, David Dunn. 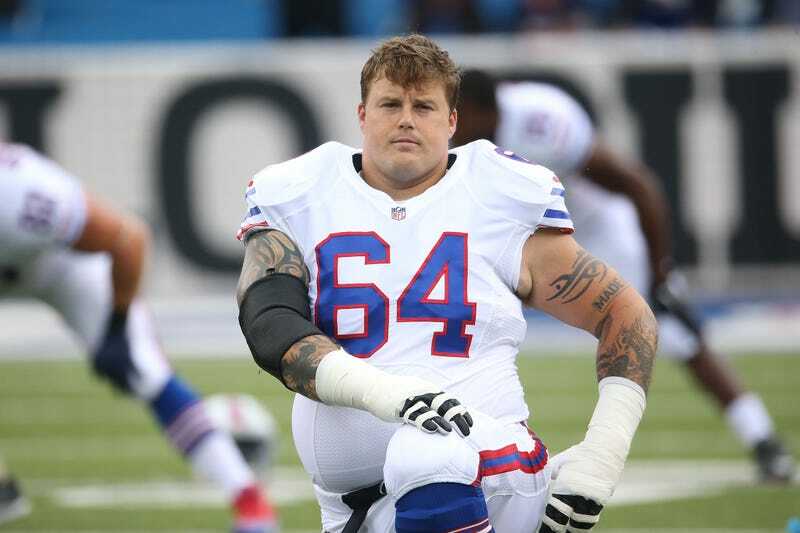 The NFL is reportedly looking into the claims that Incognito was back to his racist ways. Bills lineman Dion Dawkins took to Twitter to refute Ngakoue’s claims. Proving once again that the NFL will allow racists to play but will whiteball those who want to fight against injustice.